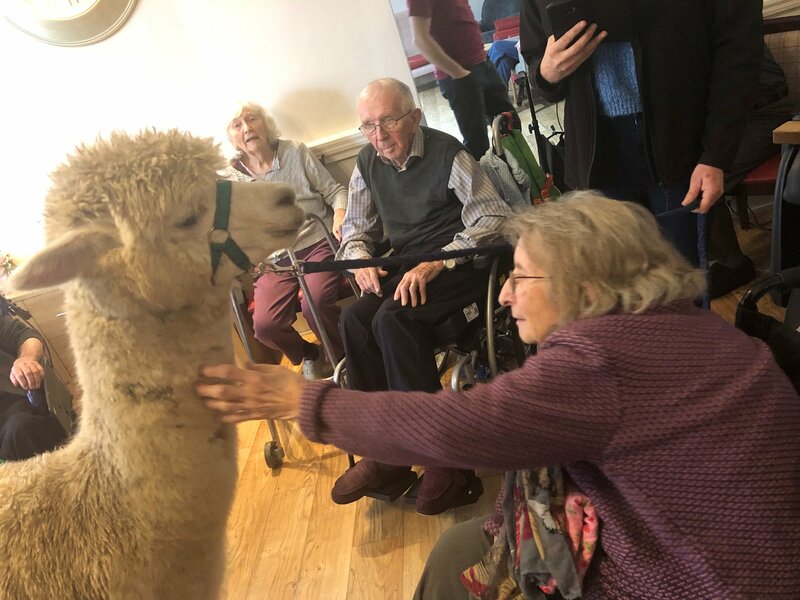 Now one Suffolk care home has discovered the astonishing therapeutic qualities of a much more exotic animal – the alpaca. 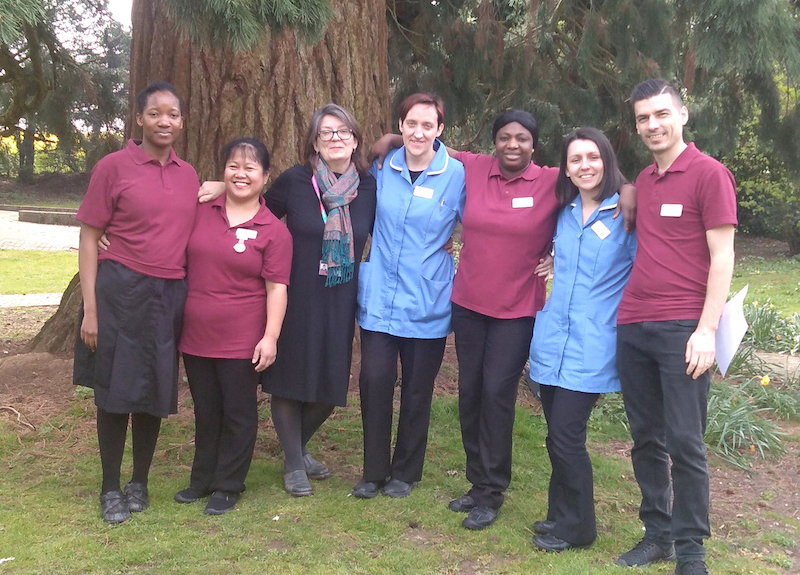 Hadleigh Nursing Home, in Friars Road, Hadleigh, was chosen to trial pet therapy using the South American breed by Jo Bridge who keeps a herd of 60 alpacas at Clay Hill Farm, in Wattisham. Ms Bridge, who had previously kept horses and goats, acquired her first alpacas in 2012, three pregnant females and two males, and confessed it had been “love at first sight”. She has gradually turned her hobby into a business, breeding and selling alpacas which are kept for their prized fleece as well as being used as chicken guards, deterring foxes, and what she describes as “ornamental lawnmowers”. 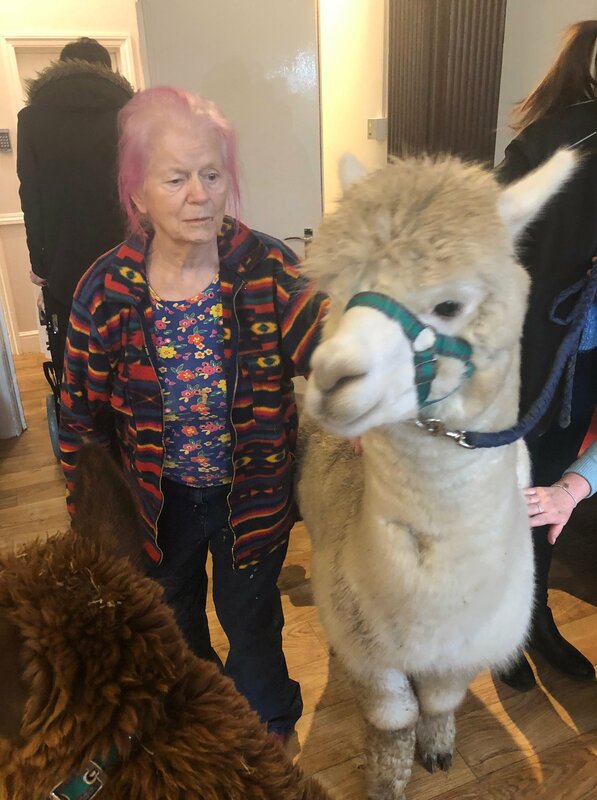 Ms Bridge said: “We host farm visits and alpaca walks and it was when we entertained a group of people with special needs that we noticed alpacas’ remarkable therapeutic impact. Seeing the potential for care homes, she approached Kingsley Healthcare run Hadleigh Nursing Home last year to trial therapy visits. “From our first visit, it has proved so rewarding for everyone,” she said. Clair Perks, the home’s activities coordinator, said: “It really lifts the mood of people living with dementia. 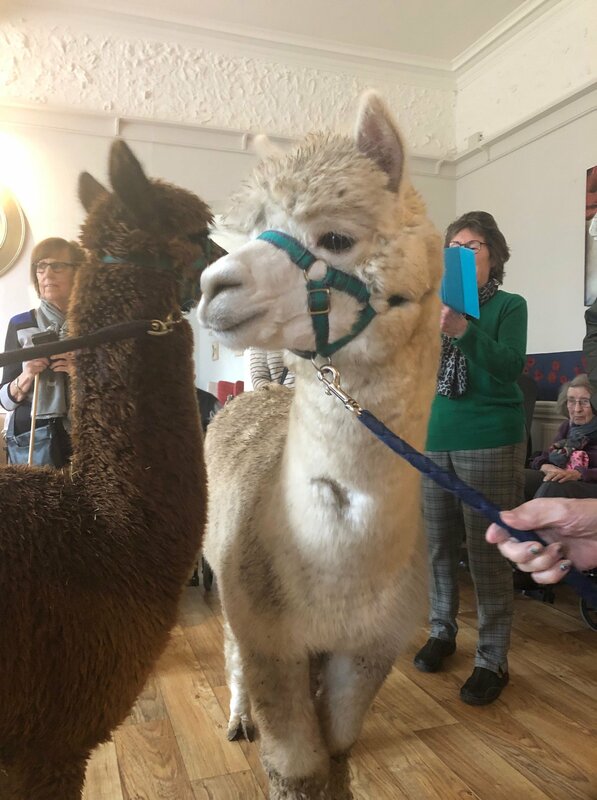 She said the residents loved the alpacas so much that they had decided to adopt two – Echo and Goose – which meant the home would be sent regular update newsletters and photographs from the farm. Other care homes interested in alpaca therapy visits are asked to call Ms Bridge on 0770 3005447.